If you’re looking for a spacious garden shed, we offer a range of 10 x 12 sheds at Ace Sheds in a variety of shapes and styles, from potting sheds and garden sheds to workshops and storage sheds. Each of our sheds has been manufactured down to the finest detail with craftsmanship on-site in Bethersden near Ashford. Whether you’re looking for a DIY workshop, a storage haven for garden equipment and children toys, or a room in its own entity separate from the house, a 10 by 12 shed offers a plethora of space for a range of activities. Our sheds have been manufactured using high-quality timber which has been 100% pressure treated for maximum protection against weathering. We also offer a tantalised pressure treatment service which is renowned for its durability, colour and quality. Many people ask why our sheds already come with pressure treatment. Simple, because we want to protect and maximise the longevity of your garden shed. Customers can also benefit from our unrivalled customisation service which is available at checkout. Our customisation process enables customers to create an entirely unique shed tailored to them and their needs. Elements of the customisation process include altering the door and window position and/or type, specifying cladding and framing depth, choosing optional felt and selecting additional security features and optional extras. 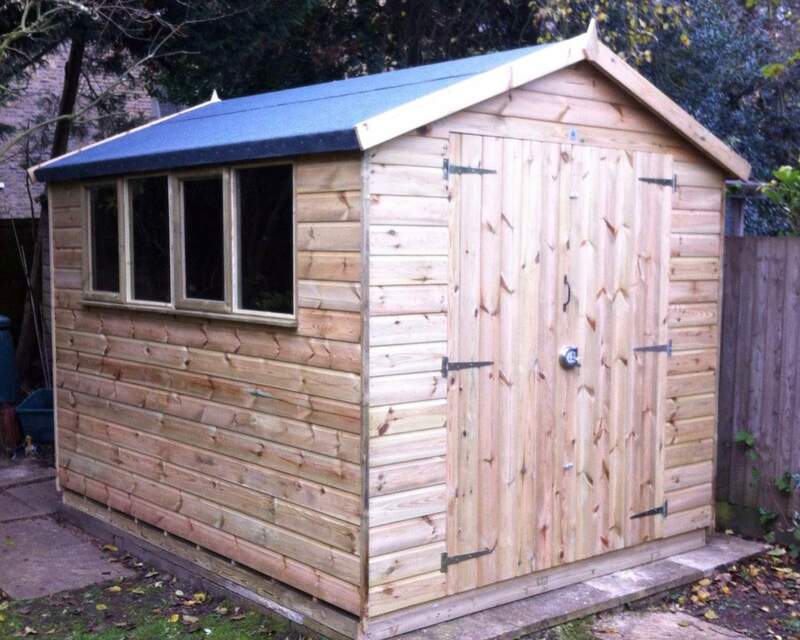 We are renowned for our bespoke service and proud to be one of the leading shed suppliers in custom-made services. For more information on our delivery and installation, please read more. To get in contact, please call 01322 822042 or contact us online.